RSVP: Celeste Burrows | 510-601-1211 If no response, the hike could be cancelled. When: Thursday, January 31, 1:00 pm -3:00 pm. Serious rain cancels, but the trails here are sheltered; so if the forecast is iffy Celeste will come and bring a rain hat and umbrella. Description: This is a very scenic 2.5-3 mi hike on easy trails in Joaquin Miller Park in the Oakland hills. The environment changes from mixed Bay to Chaparral to deep Redwoods as we traverse the Sequoia Bayview and the Big Trees trails. We’ll walk back along the ridge, with sweeping views across the Bay. What to bring: Dress warmly for variable weather conditions. Bring water, snacks, and hiking poles if you normally use them on hikes. Poles can be helpful for balance and to maneuver on any uneven segments on the trails. Poles can also help you climb over puddles if it's been rainy (Celeste will bring an extra set if you would like to try them). Directions: From Hwy 13 in Oakland, take the Joaquin Miller Rd. exit and drive east (uphill) on Joaquin Miller Rd. to the stoplight at the top. Turn left onto Skyline Blvd and go 1.5 mi to the Chabot entrance on the right. Park in the free parking lot and meet outside the garage entrance. 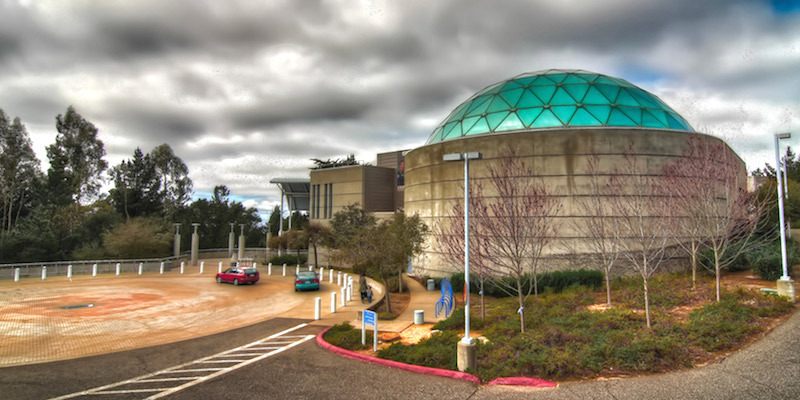 Restrooms are available upon request inside the Chabot Center.